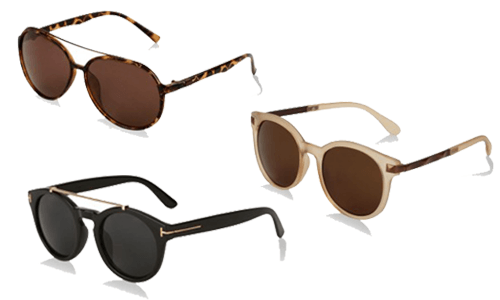 Have You Found The Perfect Sunnies For YOUR Face? It's not easy to pick out the ideal sunglasses for you. The ones that work best for your face have the ability to highlight all your killer features and the ones that don't... well, they don't do the job that they're supposed to do (besides protecting your eyes from the bright sun, of course!). But don't you fear, we're here to help you find the perfect pair. So pay close attention! 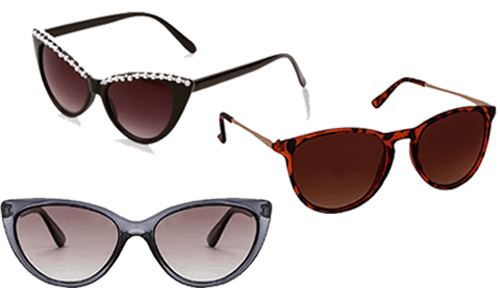 Various factors are involved in getting the perfect sunglasses, one of them being your (guess?) FACE SHAPE! First of all, you need to know whether your face is round, oval, heart or square - and then read on! Square shaped faces are the ones which have sharp features and a prominent jawline. Complement your strong features with oval or rounded glasses as they will soften the angles of your face. 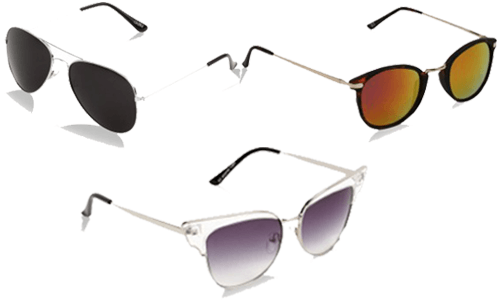 Go for sunglasses with soft lines and rimless edges. Make sure the top frame sits high enough to downplay your jawline. POPxo Recommends: JOE BLACK Aviator Sunglasses (Rs 599), STYLE FIESTA Wayfarer Sunglasses (Rs 1,199), JEEPERS PEEPERS Classic Round Frame Holographic Sunglasses (Rs 1,695) MUST-READ: What Do Your Sunglasses Say About Your Personality? 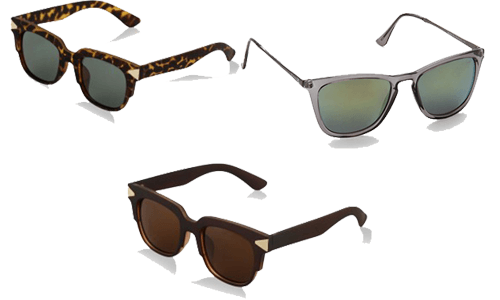 MUST-READ: Style Steals: 10 Awesome Summer Sunnies Under Rs 2,000!